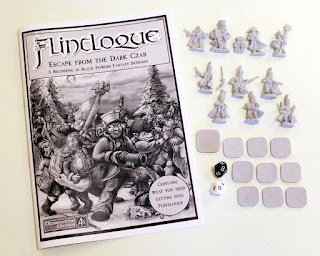 It is my pleasure to present to all the players of Flintloque the sixth free scenario in the Escape the Dark Czar arc for download from our website or right here in this article. It is a fun and different continuation of the scenario arc and can be played solo with ease. Can you spot the mortals before they escape your cavalry? Find out now! 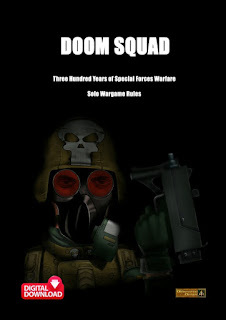 Go HERE for all our free downloads or read on for the link and more information. The sixth scenario for Escape the Dark Czar arc sees Captain Preserovitch now once more back in the saddle and hunting for General Saindoux and his growing band of survivors with his savant zombie Cuirassiers. 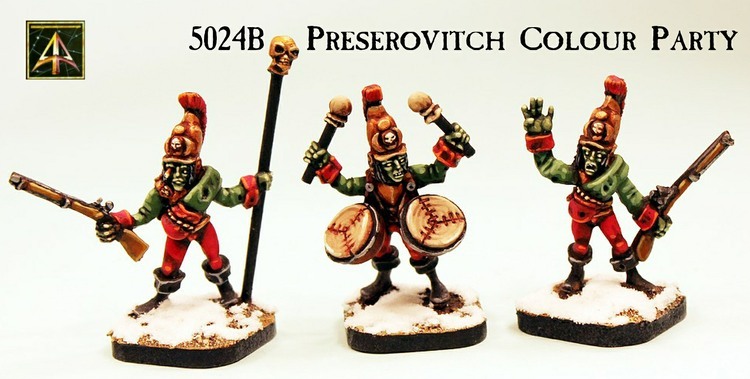 Will his mounted Zombies find the mortals as they search the the snow covered landscape in the midst of a falling sun for survivors sneaking through their line? 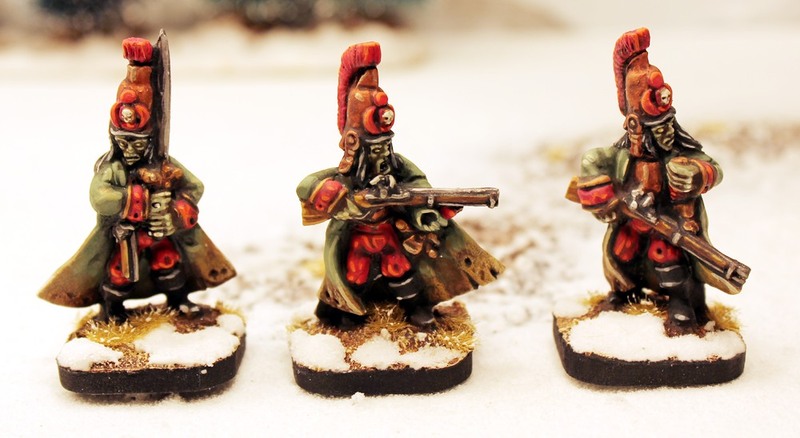 In this special rules solo scenario you take the part of the Undead on the hunt if playing alone or as them and the mortals for two players. CLICK HERE to download it from our website hosting. 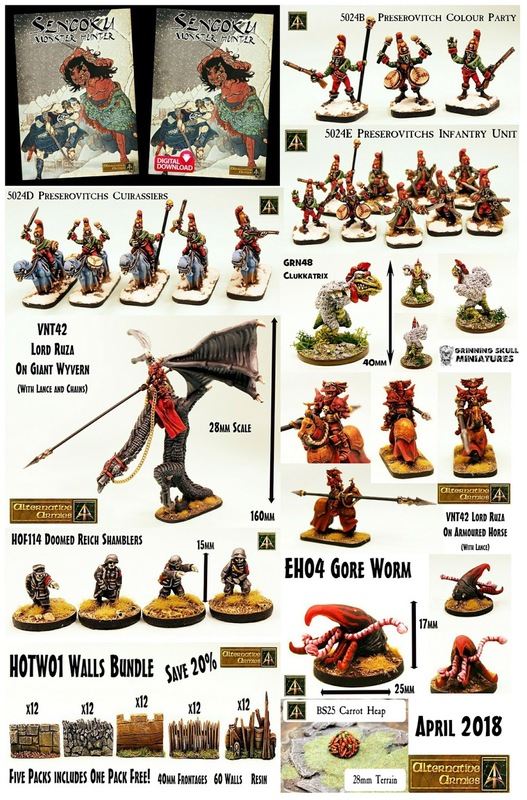 This scenario builds upon the miniatures from the beginners set which has ten resin 28mm miniatures plus bases and the core rules booklet for a fantastic starter price HERE. 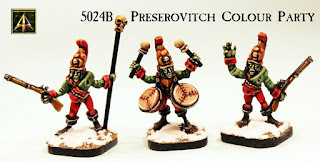 It makes use of the Al-Garvey Goblin Legion which are great characters and the only Goblins in the service of the Emperor Mordred; see them HERE. 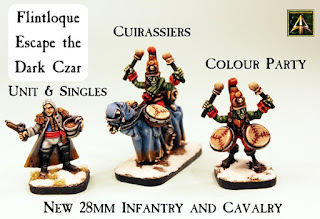 The stars of this new adventure are the newly released Preserovitch Cuirassiers on Undead Horses which you can see HERE and they are the mounted versions of the Undead in the beginners set and they go great with the new three figure Colour Party for Captain Preserovitch's troops which is HERE on the website. 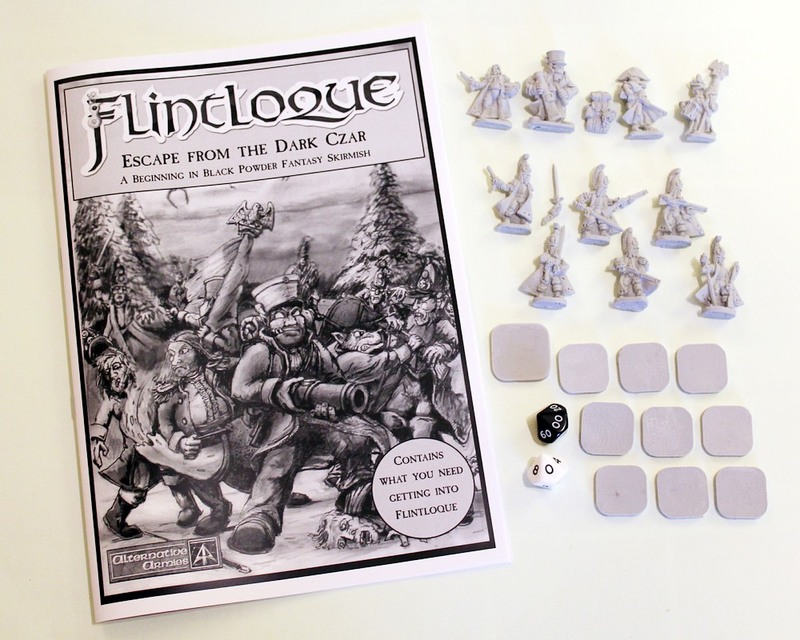 If you have been playing the previous scenarios you will be all caught up but if not then you need the 'beginning in Flintloque' page. Beginning in Flintloque. 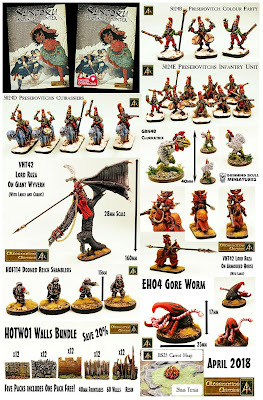 This page on our website HERE begins your journey with the best Fantasy Napoleonic tabletop game in the world and it is where you will find all the codes used in the scenarios in the arc as well as scenics and free items such as the scenarios and video reviews of Escape from the Dark Czar and Death in the Snow by the Talking About Gaming independent channel. There is also a page on our blog for those new to the game HERE. 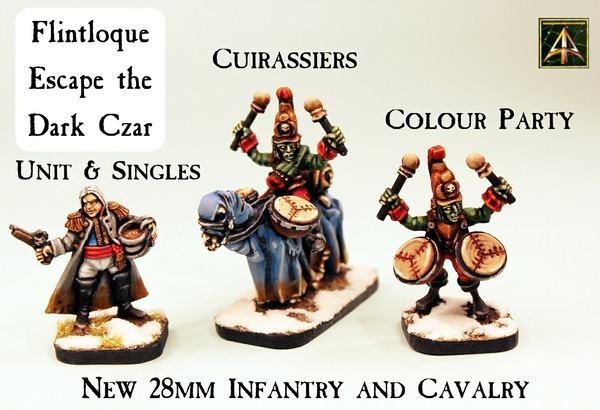 It has been a big month at Alternative Armies and we will return in May with new releases across our ranges including Flintloque and more free content too. But more on that at the right time. 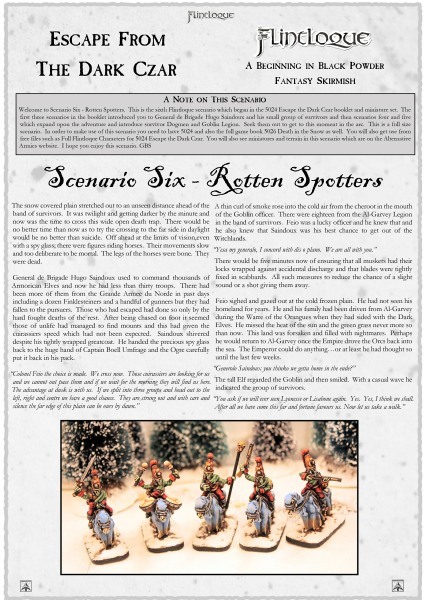 For now enjoy this new free scenario and see if you can dodge the Rotten Spotters!